For Seminar and Lesson Information Keep Reading. 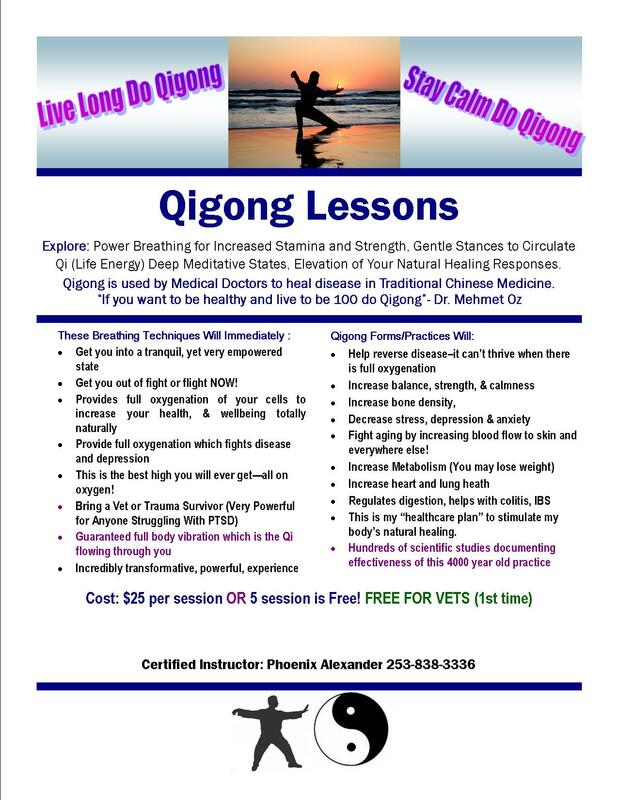 Qigong is an Invaluable Resource for People Living with PTSD, Anxiety, Panic Attacks, and for Trauma Survivors, or Anyone Struggling with Chronic Health Problems. It is a Healing, Meditative, Practice that Strengthens Your Body, Your Mind, and Your Natural Healing Resources. It creates a powerful, tranquil state, that is unlike anything you have felt before! You can feel the vibration of Qi resonating through your body, providing strength, oxygen to your entire body, and potent activation of your body’s natural ability to heal! Anciently it was practiced by Warriors as a Martial Art Form that gave them an advantage in strength, focus, and especially recovery from injuries. It was a closely guarded secret that was taught only to the most skilled and deserving students. It was so effective that is has been handed down for thousands of years as a healing, meditative, practice. Veterans: When implemented by “Modern Day Warriors” it gives you control and focus in your mind and body to handle all the things you deal with during or after your service to our country. Thank You For Serving! It is most like Tai Chi. Although Qigong is 5,000 years old and Tai Chi is less than 1000 years old. Qigong is the Mother of Tai Chi. It is not practiced as a Hard-Style Martial Art, but rather as a smooth-flowing, strong, deliberate concentration of bio-magnetic energy to strengthen and benefit the body and mind. It is a series of simple, slow movements that anyone can master! It can be done seated or standing. It is an Excellent Healing Practice For Anyone Struggling with Health Issues and Offers a Unique Alternative Therapy For People Who Have Tried Everything Else To Gain Control Of Their Lives! Thousands of documented studies show the healing properties of Qigong and how it can reverse many diseases. There is a database of over 4,000 research studies on the effectiveness of Qigong in clinical applications. I am a Level 3 Certified Instructor. Join me soon to experience the Qi flow and benefits. At This Amazing 1/2 Seminar you will be transformed! Breath Empowerment that will make you feel energy in a way you have never experienced before! You will literally vibrate and buzz with Qi. 9 Breath Warrior Breathing-Practiced by Tibetan Monks for the extraordinary power it gives you to change your mental and physical state. 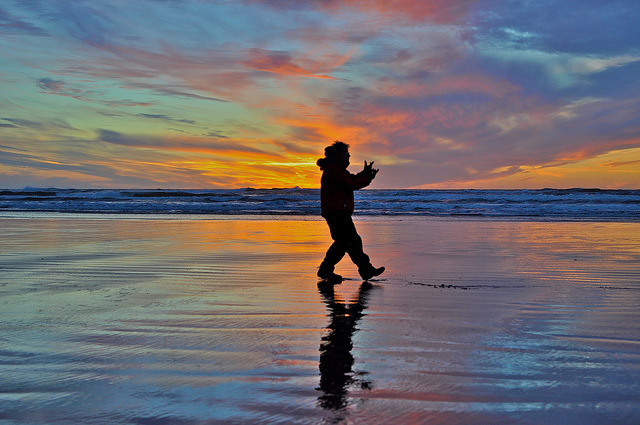 Qigong Healing Forms: These are gentle, simple poses that anyone can do. 9 Breath Manifestation Circle: Join with your intent and heart in helping to heal yourself and make positive changes to our communities and the world. Prepay to receive a $25. Discount. $75. for the Seminar. Write your receipt number on the certificate as proof of purchase. 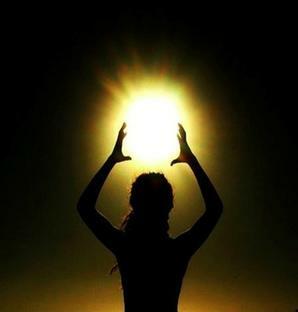 Qigong Lessons are held on Monday Nights at 7 pm at Alpine Therapeutic Massage Spa. $25.00 —Or Buy 4 and get the 5th One FREE! 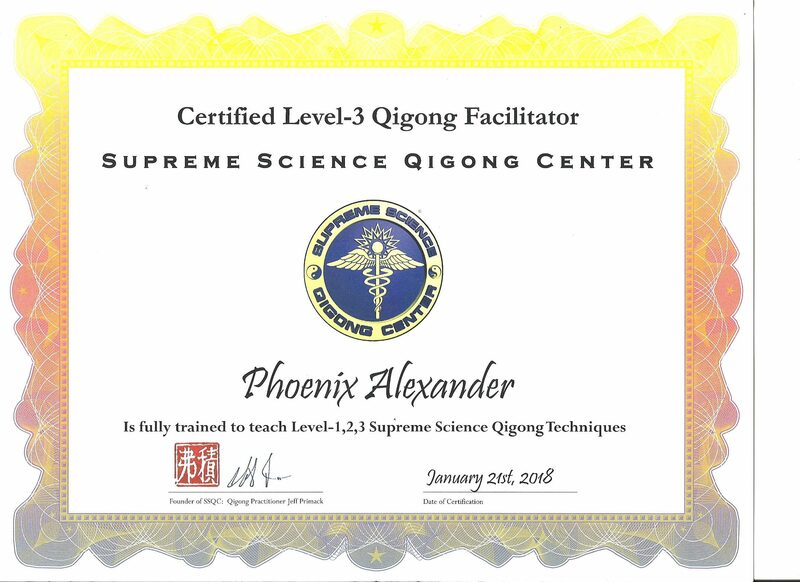 Qigong Payment Certificate print this. Veterans: First Lesson is Free! Helps Trauma Survivors, and those struggling with flashbacks or panic attacks to immediately change from a “fight or flight response”, to a “rest and restore response”. Even the CIA endorses Qigong and has a huge online library documenting the benefits of Qigong. Creates Alpha Brainwaves associated with peak athletic performance.